On Thursday we made our second free flight attempt with the Morpheus prototype vehicle. As you can see in the video below, shortly after liftoff we experienced a hardware failure and lost the vehicle. The root cause is still under investigation, but what we do know is that at the start of ascent we lost data from the Inertial Measurement Unit (IMU) that supplies navigation updates to the flight computer. Without this measurement the vehicle is blind and does not know which way it is pointing or accelerating. 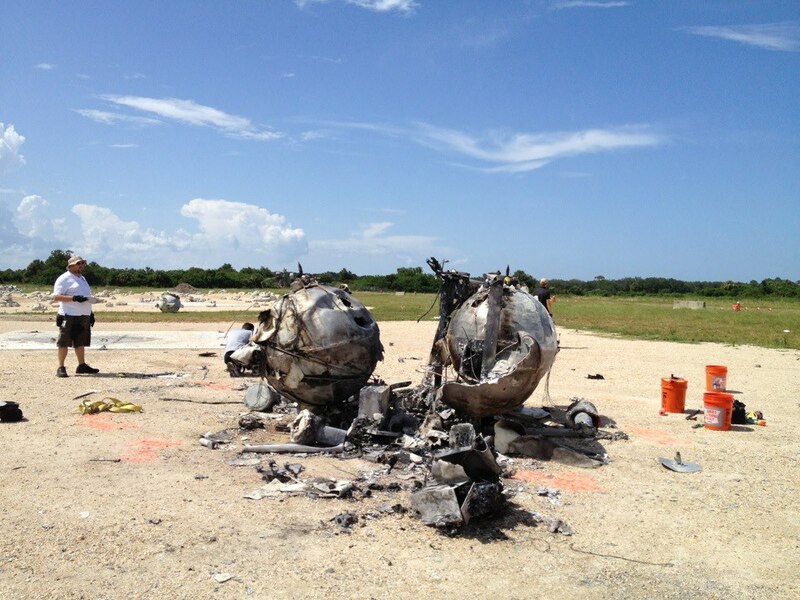 Since this data is needed to maintain stable flight, the vehicle could not determine which way was up and began to tumble and impacted the ground about 50 feet from the launch site. No one was injured, no property was damaged besides the vehicle and we have been able to recover significant data, which will give us greater insight into the source of the problem. We have said it before and will continue to say, this is why we test. We have already learned a lot from this test and will continue to learn as we recover data and evaluate the hardware. No test article should be too precious to lose. A spare vehicle was planned from the start and is just a few months away from completion. The basic development approach is to quickly build, test and redesign the hardware to achieve many design cycles and maturity before building flight articles. The Morpheus team successfully flew our first tether test at Kennedy Space Center on Friday August 3rd. The objectives for this flight, along with the dry and wet runs earlier in the week, were to verify all systems were in good working order after shipping from Johnson Space Center in July and to allow the new KSC support team an opportunity to move through flight procedures. After looking over the data over the weekend and coming together for a Test Readiness Review, our Project Manager, Jon Olansen, approved our first ever free flight for August 7th. This will be the first time we will fly the vehicle without a crane attached. The crane was used in previous tests as a safety mechanism to allow each subsystem to safely tune their individual systems for a smooth stable flight. NASA's Project Morpheus lander is moving one step closer to achieving autonomous flight and landing. 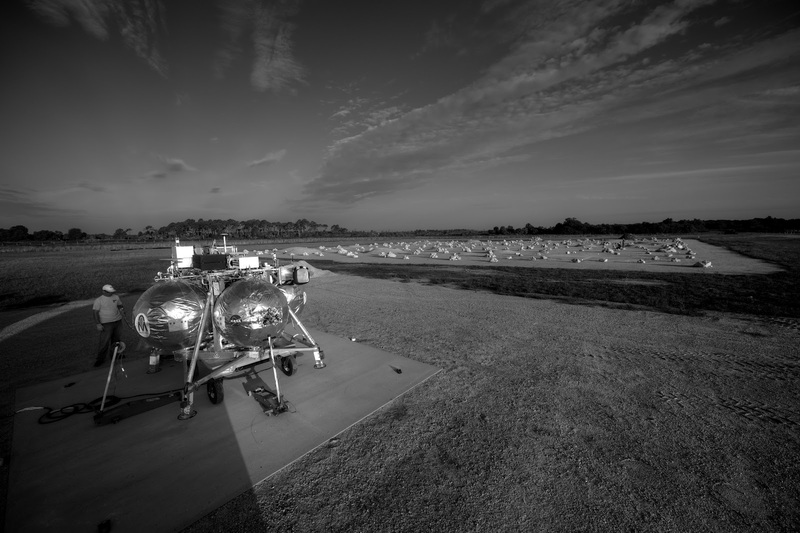 After undergoing testing at Johnson Space Center in Houston for nearly a year, Morpheus arrived at the agency's Kennedy Space Center in Florida on July 27 to begin about three months of tests. Dr. Jon Olansen is the Morpheus project manager at Johnson. He said a small, dedicated team in Houston completed substantial work to design, develop, integrate and test the Morpheus prototype lander. "We completed the fundamental testing needed to characterize vehicle performance while tethered at JSC," Olansen said. "Now it's time to move on to the next phase of the project where we fly the vehicle autonomously in free flight." Olansen said the testing at Kennedy will continually expand the flight envelope until they can fully simulate the final approach and landing phases of a planetary surface entry.